Find links to student and alumni work here. Apporva Tadepalli, CRC 2017, is the editorial fellow Andrew W. Mellon Foundation Editorial Fellow at Lapham’s Quarterly. Lara Zarum, CRC 2014, is a staff writer at the Village Voice. Molly Long, CRC 2016, is a copy editor and producer at newyorker.com. Zack Hatfield, CRC 2017, is an assistant editor at Artforum. His essay on Debi Cornwall’s “Welcome to Camp America” was a runner-up for the 2018 Observer/Anthony Burgess Prize for Arts Journalism. Rachel Kraus, CRC 2017, is an editorial fellow at Mashable. Rennie McDougall, CRC 2017, was also a runner-up for the 2018 Observer/Anthony Burgess Prize for Arts Journalism for his essay on Bjork’s Utopia. Joshua Alvarez, CRC 2016, is editorial production manager at The Washington Post. Luisa Rollenhagen, CRC 2016, is social media editor at Timeline. Alex Robert Ross, CRC 2016, is a contributing editor at Vice’s Noisey. Daniel Schroeder, CRC 2016, is producer of Slate podcasts. Maggie Foucault, CRC 2015, is an associate editor at Bookforum. Elisa Wouk Almino, CRC 2014, is associate editor at Hyperallergic. J. Bryan Lowder, CRC 2011, is a Slate associate editor and the co-founder and editor of Outward, Slate’s section on life, culture, and LGBTQ issues. Meredith Blake, CRC 2009, is an entertainment reporter for the Los Angeles Times. Ian Crouch, CRC 2009, is a contributing writer and producer for newyorker.com. Thomas Chatterton Williams, CRC 2008, is a contributing writer for The New York Times Magazine and a contributing editor for The American Scholar. Hillary Brenhouse, CRC 2006, is co-editor-in-chief of Guernica magazine. Willa Paskin, CRC 2005, is Slate’s television critic. Claiborne Smith, CRC 2002, is editor-in-chief of Kirkus Reviews. J. Bryan Lowder, CRC 2011, is working on a forthcoming book with Farrar, Straus and Giroux. Thomas Chatterton Williams, CRC 2008, is working on a forthcoming book with W.W. Norton. Williams is also the author of Losing My Cool (Penguin Random House 2011). 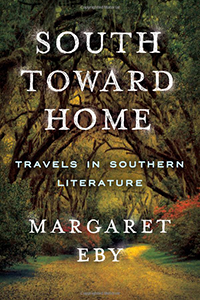 Margaret Eby, CRC 2011, published South Toward Home: Travels in Southern Literature on September 8, 2015. 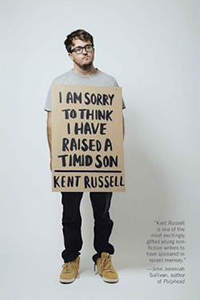 Kent Russell, CRC 2009, published I Am Sorry to Think I Have Raised a Timid Son on March 10th, 2015. 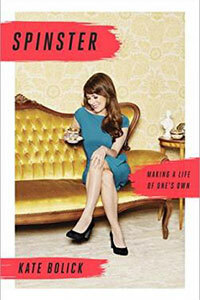 Kate Bolick, CRC 2002, published “All the Single Ladies” as a cover story in The Atlantic, and the book emerging from it, Spinster: A Life of One’s Own will be published in April 21st, 2015.